Northern Ireland’s Education Department has advised schools to remain shut to “avoid any potential risk to life for children, young people and staff” as storm Ophelia continues to cause severe disruption. Ophelia slammed into Ireland with wind gusts of up to 130 kilometres per hou on Monday, killing at least three people, grounding planes, shutting schools and creating widespread power outages. Although Ophelia was downgraded from a hurricane to a post-tropical cyclone, Ireland’s National Emergency Coordination Group on Severe Weather warned it was still “unprecedented, with serious life-threatening conditions”. 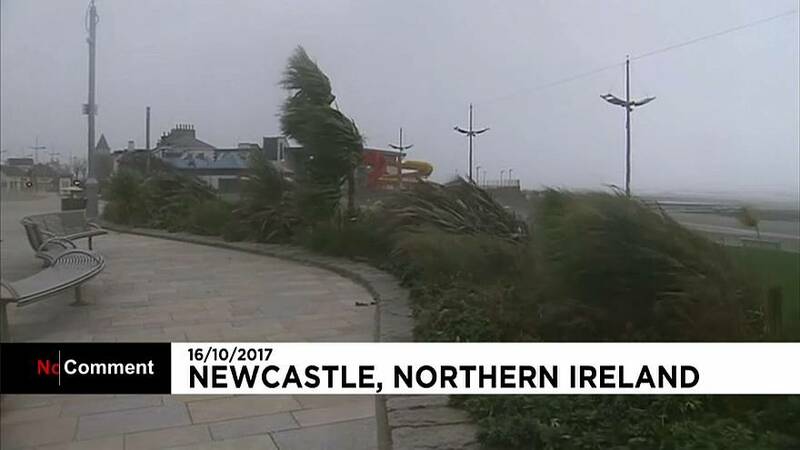 In Northern Ireland, large waves around coastal districts tossed sand and rocks onto coastal roads and seafronts, and wind warnings remained in place.